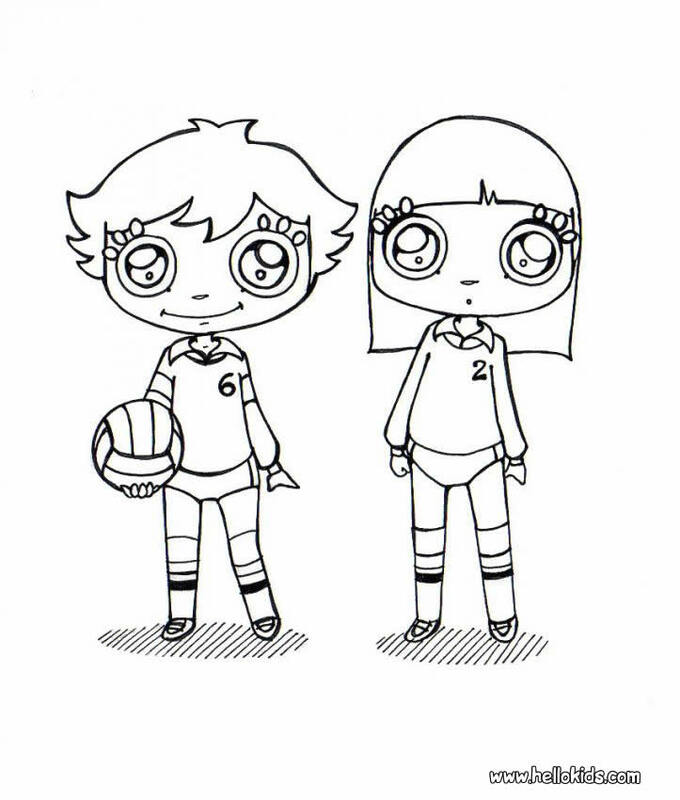 Sources of coloring pages related to volleyball: volleyball payers and volleyball equipment. buckysbuddies.com: Volleyball players in action coloring pages: serving, setting. spiking.